They say life happens while you are planning other things. Cliche for some but certainly true for Neelesh Misra, who was on a break from journalism when he stumbled into what has become the centrepiece of his identity as a storyteller -- radio. The experiment was hugely successful, winning him millions of listeners. Misra is now planning to take the art of audio stories to the next level by using tales he and his creative team Mandali have put together for healing. It may sound ambitious but Misra has already started working with a team of doctors, who are trying to gauge the impact of his stories on individuals struggling to cope with the many difficulties of life. 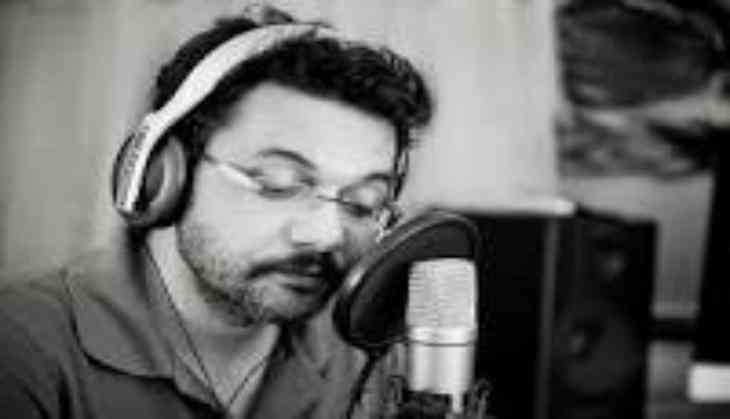 The idea came to Misra through audience feedback to his shows, 'Yaadon Ka Idiot Box' on Big FM 92.7 and 'The Neelesh Misra Show' on Red FM 93.5. "When we say stories for healing, it may sound like a great marketing line but we have so many examples where these stories have made a real difference in people's life," Misra told PTI in an interview. "I want stories not to be used as mere entertainment. We have hundreds and hundreds of people telling us that our stories heal depression. A lot of students have told us that listening to our shows help them avoid exam pressure. People going through relationship issues have reached out to us to say the show gave them strength," he added. The journalist-turned-writer-turned-lyricist-turned- radio personality said they were trying to get data codified. Misra, who is in his 40s, said he would like to collaborate with the HRD ministry to help create a storytelling project. He has also teamed up with Saavn app for 'Kahaani Express'. "All the stories are in and around train journeys. We are bringing our nostalgia, experience and childhood memories to this storytelling show. Railways are at the heart of India." "It has been challenging but an enjoyable experience. In this process, I am also rediscovering a lot of my own nostalgia and memories around trains because I used to go from Lucknow to Nainital where I was studying." Radio has thrived in the era of new media, which is largely visual and Misra believes audio will flourish in the future. "Along my journey, I have discovered the power of radio and audio content. When I started out, I did not realise audio content could have such an intimate connect with millions of people. "... In our audio journey we have been fortunate enough to be able to bring together audiences across social strata, age and geography." Merging the ancient craft of storytelling with new age digital platforms has been exciting. "The marrying of technology with the craft of storytelling has helped us reach a much larger audience. Going forward, we want to do multilingual projects where we mentor storytellers in other languages." He is also in discussion with radio stations in different parts of the world to syndicate his programmes. Recalling how his own radio story started, Misra said he had taken a break from journalism to promote the debut album "Rewind" of his band A Band Called Nine with singer Shilpa Rao and composer Amartya Rahut. The team was looking for a radio partner when he was offered a radio show. "I had never planned it. I told them that I could do a storytelling show and that's it. This really changed my life completely within a very short period of time and became the mainstay of my work. "I had nothing to do with my voice before that point. I have always been a writer and a journalist. It is strange but I am known more for my voice now and I am sure my writing is quite jealous. I want to get back to it." Misra, who has one foot in Bollywood as a screenwriter and lyricist, has another abiding interest. Gaon Connection, the rural newspaper that he runs from Uttar Pradesh, consumes most of his time -- and his money. "My biggest battle today is that as an artiste I have to keep earning enough to run our media platform. I am something of an idealist as people keep asking me why you need to run the paper... There are times when I feel defeated. "But we are trying to run the business ethically and we have a great team. We are soon coming out with our English website. We want to expand our community newspaper to Maharashtra and Bihar. We are finally opening up to investors.